O moderno refúgio de Nova Orleans. Tendo acabado de uma remodelação completa, este apartamento chique é o local de pouso final, se você está aqui para negócios, jogar, ou ambos. Com uma localização central na área de Uptown / Broadmoore, você terá um oásis de paz e acolhedor para chamar de lar durante a sua estadia em Nola. Para não mencionar, você está perto de tudo - a uma curta distância do parque da cidade em meados de cidade, bairro francês e do centro, bem como o acesso rápido e fácil para o shopping incrível e comer na rua carvalho e Riverbend. Os tectos altos, pisos de madeira bonita, ao ar livre espaço hang-out, Tempurpedic colchões, e todos os móveis que você precisa para se sentir feliz e em casa em Nola. Great place. Clean great location. Wonderful owner. 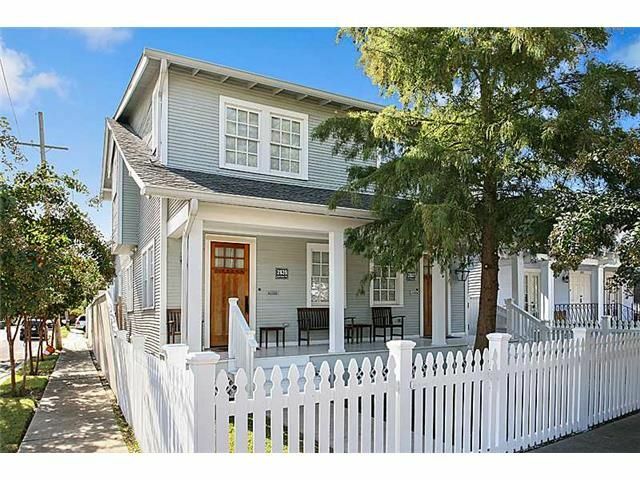 Very nice house in a central location convenient to most areas of the city (Mid-City, Audubon, downtown). The house was spacious, well maintained and very comfortable. Would definitely stay again. Perfect for our stay - provided an excellent comfortable launch-point for all the things we wanted do see and do during our visit to New Orleans. Charming house and neighborhood. We stayed pre cruise...during Mardi Gras! So having a place to park the cars and Uber/Lyft from was great. The home was comfy. We had everything we needed. We enjoyed our stay here in the beautiful Broadmoor neighborhood. This property was perfect for our small family of 3 plus our pup. The decor was peaceful & relaxing. We were within walking distance (less than a mile) to the St. Charles streetcar. There are several great restaurants & brunch spots within a short drive. We took Uber into downtown without any issues at all. Thanks Isabel for sharing your home with us! We started every morning with a walk around Audubon Park, which is a quick car ride from this house. We drove in, so the available street parking in front of the house was a major win. When we needed someone else to drive, there was always a Lyft nearby. All in all, we loved this space (and our pup did too).